Your JungleDrums host, AcuteJungle66, decided this week to ignore the latest gaming and tech news, instead deciding to talk about the latest and greatest time sink that he got his hands on: Monster Hunter: World! Monster Hunter: World is an action role-playing game developed and published by Capcom. A part of the Monster Hunter franchise, the game was released for PlayStation 4 and Xbox One worldwide in January 2018. The Microsoft Windows version is scheduled for later in 2018. In Monster Hunter: World, the player takes the role of a Hunter, tasked to hunt down and either kill or trap monsters that roam in one of several environmental spaces. If successful, the player is rewarded through loot consisting of parts from the monster and other elements that are used to craft weapons and armor, among other equipment. The game’s core loop has the player crafting appropriate gear to be able to hunt down more difficult monsters, which in turn provide parts that lead to more powerful gear. Players may hunt alone or in cooperative groups of up to four players via the game’s online services. Battle gigantic monsters in epic locales. As a hunter, you’ll take on quests to hunt monsters in a variety of habitats. Take down these monsters and receive materials that you can use to create stronger weapons and armor in order to hunt even more dangerous monsters. In Monster Hunter: World, the latest installment in the series, you can enjoy the ultimate hunting experience, using everything at your disposal to hunt monsters in a new world teeming with surprises and excitement. 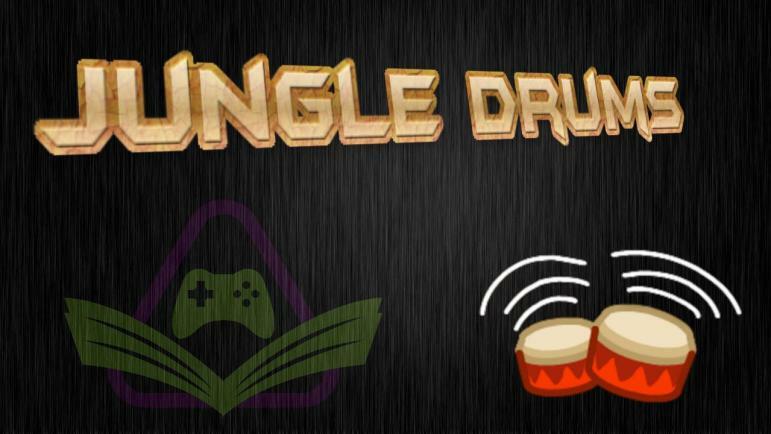 JungleDrums is a weekly news show run by Scholarly Gamers’ Content Coordinator, AcuteJungle66. Topics discussed in the show focus heavily on gaming, highlights, streams, and tech, but will typically hover around hot-button topics of the week. Joining AcuteJungle66 are a rotating selection of guests, ranging from friends and those interested in the topic at hand, fellow Scholarly Gamers, or members of raiding parties from gaming staples of his such as Destiny 2, The Division, or Rainbow Six Siege.